Small items of clothing like socks can get stuck between the tub where you put your clothing and the outer tub. From there, the socks can end up in the drain hose, preventing the tub from draining during the spin cycle. 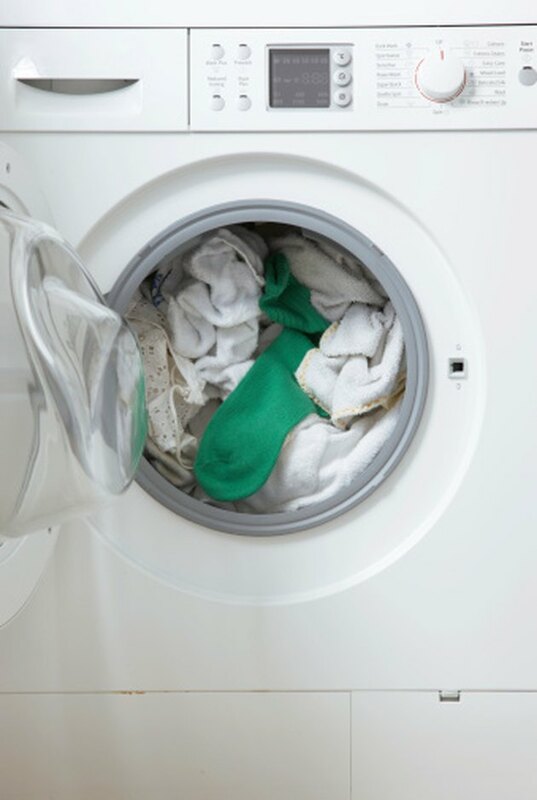 The most common symptom of a sock being stuck in a washer hose is that the washer tub will spin, but it will not pump out the water in the tub. Washing machines have an inner and outer tub. Locate your washer's main access panel and open it. The location and method of opening the panel will vary with your washer model. Consult your manual if you cannot find it. Grasp the drain hose, which is a rubber hose that runs from the washing machine pump into the outer tub of the washer. Pull the end of the hose attached to the outer tub out of its port. Shine a flashlight down the drain hose to find the sock. 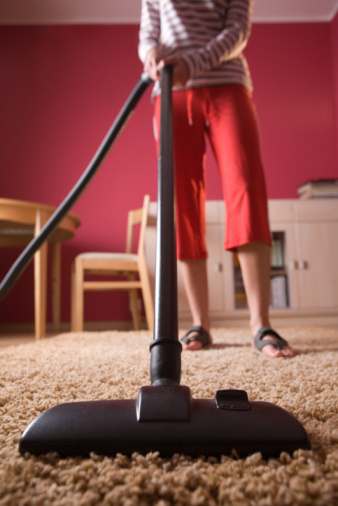 If it is near the end of the hose, reach in with a pair of needle-nose pliers and pull the sock out. Unwind a wire hanger to make a straight wire with a hook on the end, if the pliers won't reach the sock. Insert the wire into the hose, hook first, and fish the sock out. Insert the hose back into the port of the outer tub and replace the access panel.